On September 14-16, 2018 representatives from HealthTeamWorks joined more than 1,000 participants at NCQA's annual PCMH Congress in San Diego, CA. 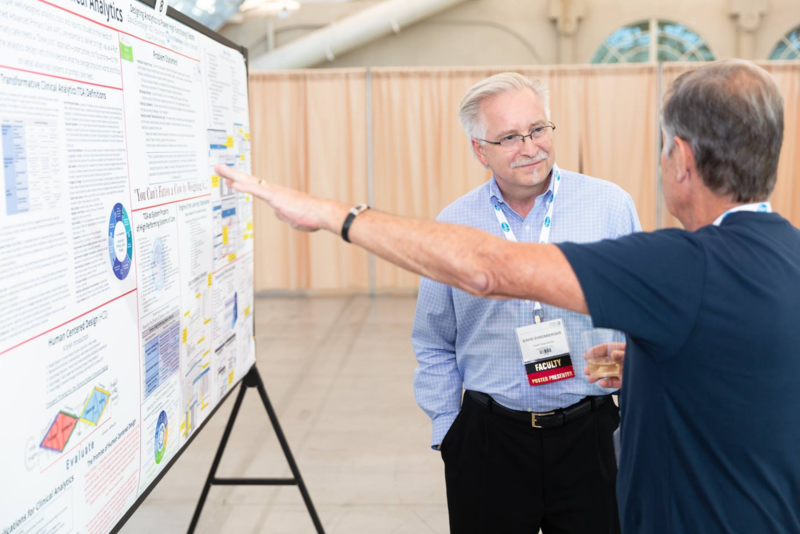 HealthTeamWorks offered PCMH Congress attendees deep levels of insight and guidance around best practices and network performance improvement results. Dr. Paul Grundy, 'godfather' of the PCMH movement, presented in general session on PCMH as the Foundation for Global Health Care Transformation. Also, Tessa Arons and Dr. David Ehrenberger hosted a poster session on the topic of optimized transformative clinical analytics. In addition, HealthTeamWorks demonstrated the Solution Center - a platform to convene a member-community of like-minded individuals for collaborative learning and innovation to advance healthcare transformation. Dr. Paul Grundy, Dr. David Ehrenberger, and Kristi Bohling-DaMetz presented on Bringing the Medical Neighborhood to Life: Key Drivers of High Performing Delivery Networks. This session described the four pillars and key drivers of performance for Advanced Network Integration: Network Referral Management Systems; Advanced Systems of Primary Care; Specialty Care and Advanced Team Work; and Community Integrated Primary Care Structure, Systems, and Resources. Attendees learned what is working in delivery networks around the country including models of advanced integration and their impact.